The Memphis Ambassadors Program is a City of Memphis year-round youth development program. Nearly 440 youth from grades 9-12 annually serve as Memphis Ambassadors, representing the seven city council districts. Throughout their tenure with M.A.P., Ambassadors focus on career and college preparation skills as well as life-skills. To find our more about the Ambassadors Program, follow this link.  Tennis Memphis is proud to partner with the Memphis Ambassadors Program as an enrichment provider to teach tennis to the participants in the program. 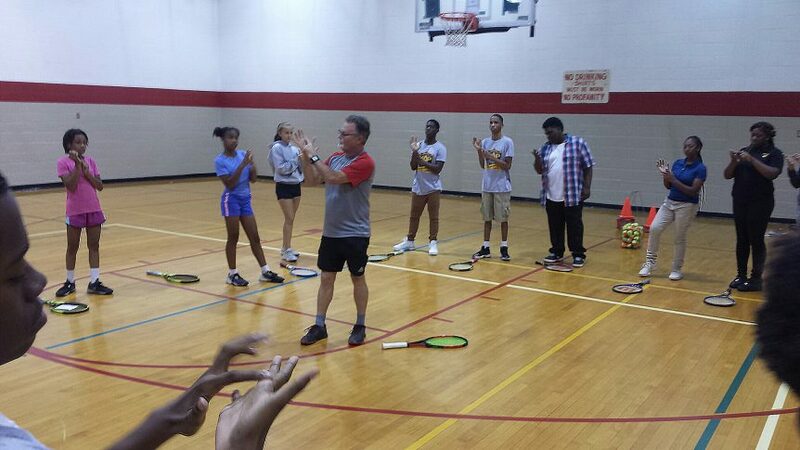 Using the GreatBase Tennis system, Tennis Memphis coaches and student-instructors teach bio-mechanically sound and efficient tennis strokes and technique, providing a thorough introduction to the sport of tennis, which is a sport that can be played for a life-time! 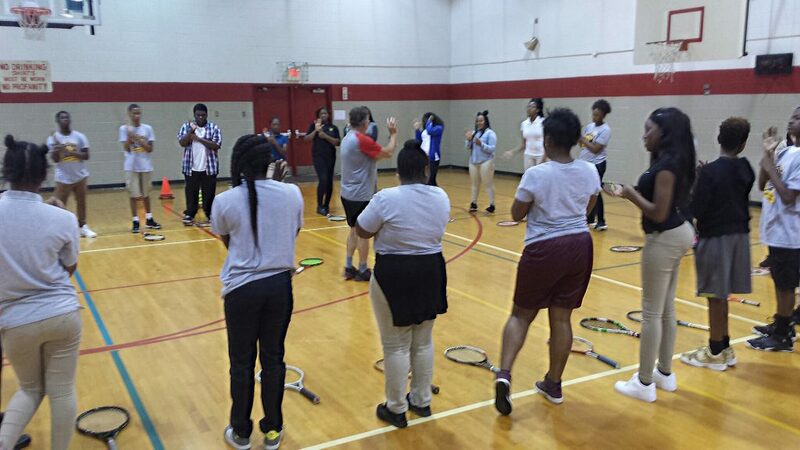 Tennis Memphis Tennis professional Tom Stem and student teachers demonstrate how to find the grip.